Republican McLean County Board member Josh Barnett will run for Bloomington City Council in 2019. McLean County Board member Josh Barnett announced Tuesday he will run for Bloomington City Council in Ward 8. 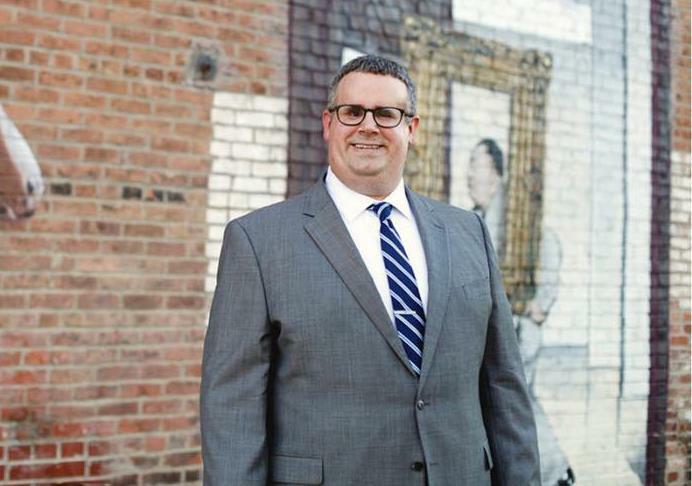 The Republican from Bloomington's east side would replace Diana Hauman on the nonpartisan council if he wins election next April. Hauman previously announced she would not seek another term. Barnett would be leaving the county board before his term expires, but did not directly address whether he has further aspirations. "I think right now what I'm focused on is running for city council and being able to serve as alderman in Ward 8. If another day down the road another opportunity opened up, that would be exciting, that would be something to talk about. Right now my passion would be serving the folks of Ward 8," said Barnett. "I would hope that because of the good relationships I have with folks on the council right now, that I would be able to be a bridge builder." Barnett said he feels he can connect more at a direct level with residents if he served on the council than he can at the county board. He said he often receives city-level questions even in his county board role. Barnett said his priorities would include working to reduce what he termed "dysfunction" on that body. "You may have seen some aldermen arguing back and forth, maybe with the mayor. And it's unfortunate those types of things have happened. I would hope that because of the good relationships I have with folks on the council right now, that I would be able to be a bridge builder," said Barnett. He said he does not think there is a particular problem center on the council that's led to a reactive atmosphere. Barnett said everyone on the council shares responsibility for collaboration, working together, and understanding others as human beings. Barnett said no area of the community can be allowed to fall behind, and downtown Bloomington has done so. 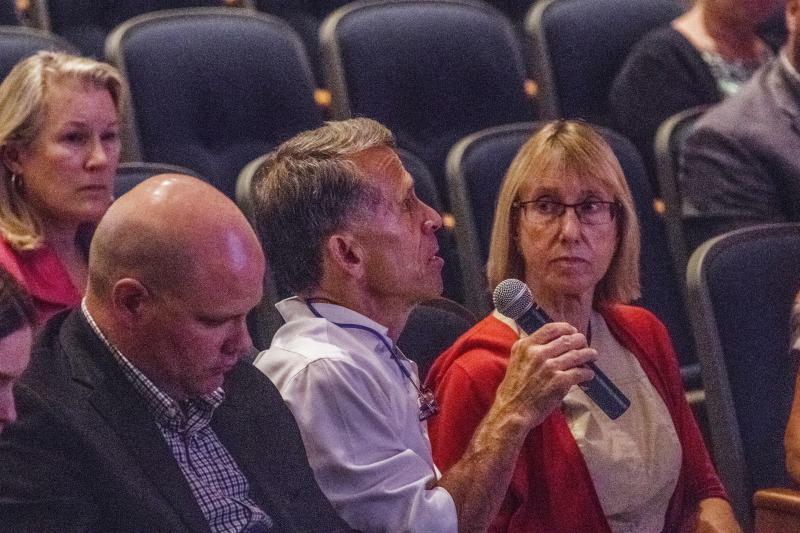 "I believe long term the answer to a lot of downtown Bloomington's struggles is having businesses locate in the downtown area. And I don't mean retail. I mean folks who are there Monday through Friday, nine to five, working each and every single day. Those folks will eat at the restaurants in downtown Bloomington. They will go out for happy hours afterwards at the establishments. They will shop at the stores in downtown. Eventually that will raise the need for housing in the downtown area. I think long term that is one of the main downtown drivers to fix the downtown problem," said Barnett. Barnett said he does not think the city is doing much to recruit businesses for that area. A number of capital projects have come into the conversation in recent years. Barnett said he believes the city council needs to prioritize the list of capital projects it developed a year or so ago. A high priority for him is relocating and enlarging the public works facility at an estimated price tag of $7 million to $12 million, though it may be the city cannot afford it immediately. He said an expanded library is a ways off, and he does not believe the council finds the project palatable right now. Barnett said he believes with hard work the community can have some wins. Ward 8 includes neighborhoods along Mercer Avenue, Eastland Mall, State Farm headquarters, and the Grove subdivision. Aldermen David Sage (Ward 2), Amelia Buragas (Ward 4), and Karen Schmidt (Ward 6) are up for re-election in 2019. They have not announced whether they'll seek re-election. An excerpt from GLT's interview. 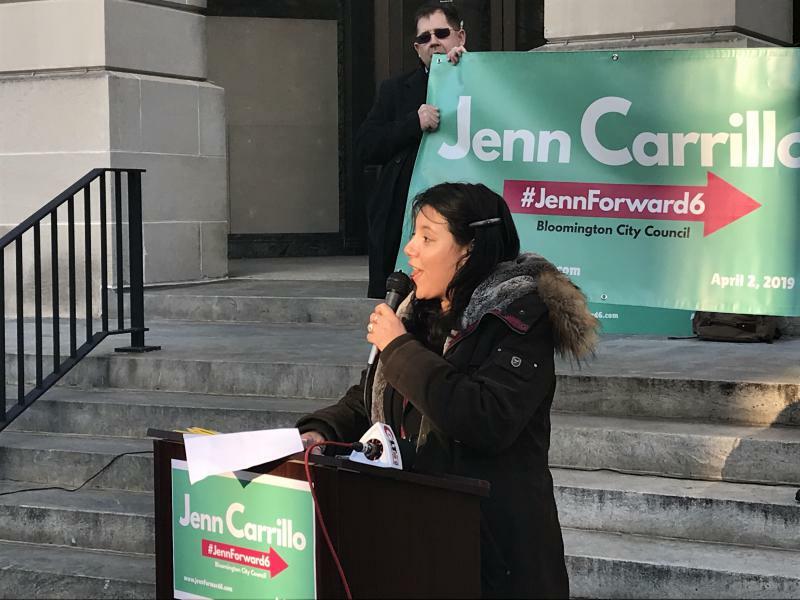 Community organizer Jenn Carillo said she wants more than to have people at the table listen to her. She wants a seat at the table. Bloomington alderman Diana Hauman has announced she will not seek a second term on the city council next year. Bloomington Mayor Tari Renner said the bulk of the money to build a new sports complex would have to come from the private sector.